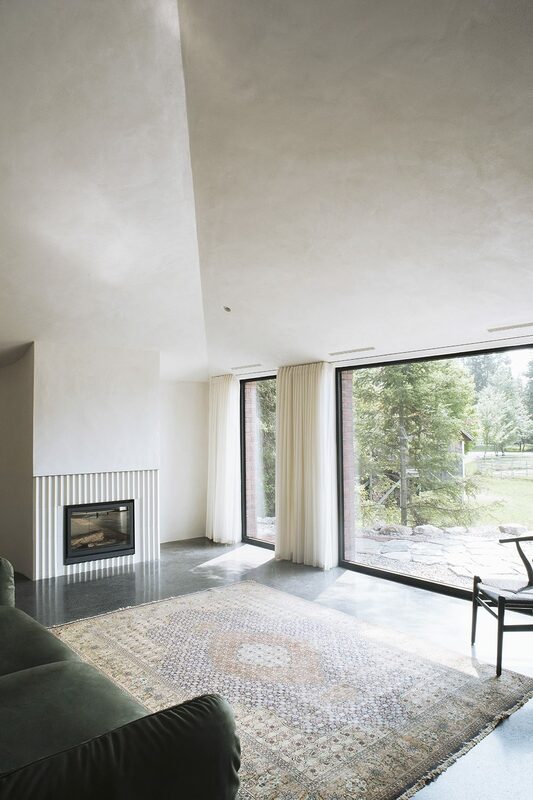 Atelier Barda’s La Maison Gauthier is situated in Laurentians of Quebec, which is also known for its glorious mountainous landscape and dense forests of spruce and birch trees. 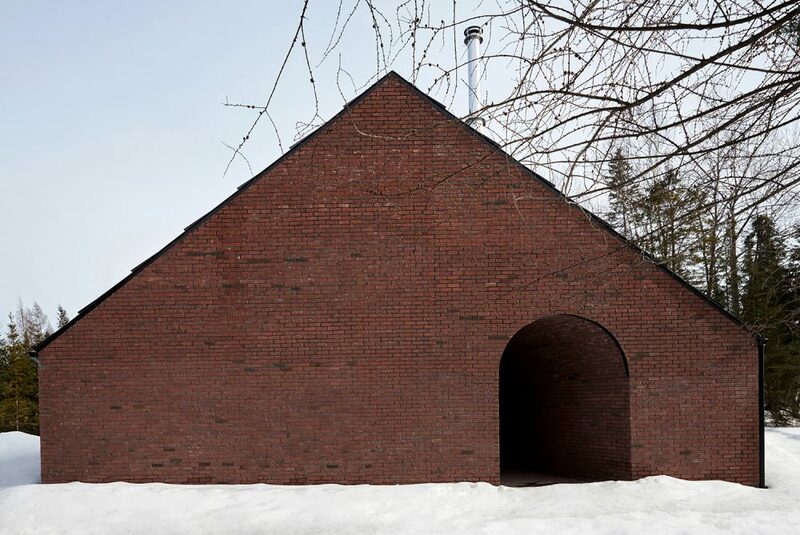 When you look at La Maison Gauthier, you can see the minimalism shine through its facade, especially with its unadorned red brick composition, and off-centered arch that denotes the front entry. 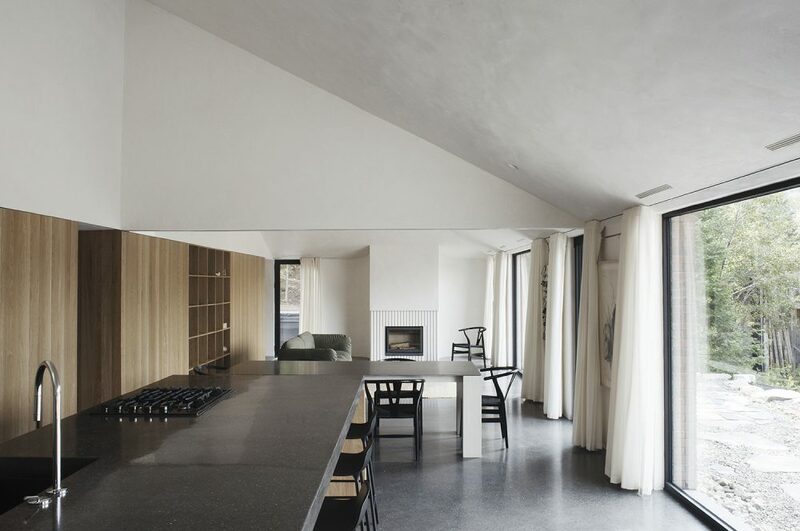 The inspiration behind the home's design stems from the client’s admiration for American minimalist art, natural landscapes, and horse stables. 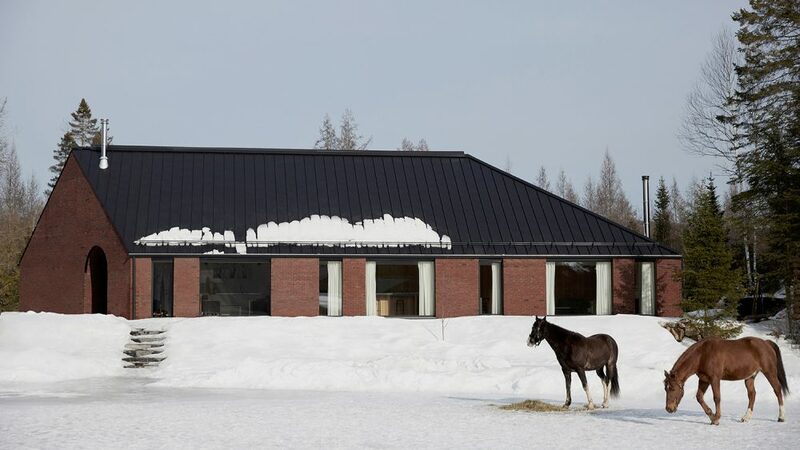 The house also complements the surrounding scenery, where the east exposure overlooks over the main road while the west side faces the owner’s horse farm and stables. The interior of the house is defined by interconnected geometric spaces. 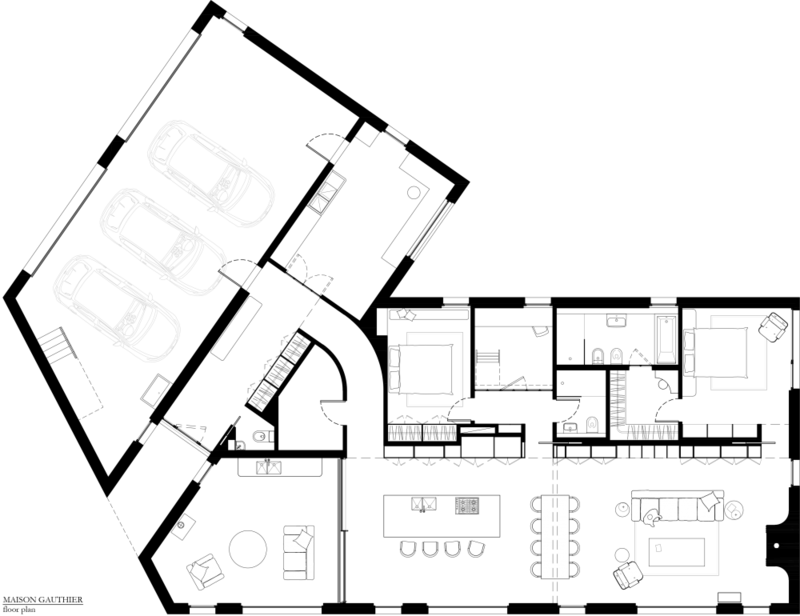 My favourite part of the house is the “V”- shaped floor plan, mostly because the two spaces are distinguished by purposes and a physical curved threshold. One wing is dedicated to the client’s ceramic studio and garage space, while the other accommodates their private living quarters. I'm a big fan of the vaulted ceilings and the expansive windows which visually expand the volume of the living space. La Maison Gauthier's intelligent design creates an aesthetic that compliments its surrounding mountainous environment. Make sure to visit Atelier Barda for other incredible designs! Researched and written by Guhar Ullah, Specializing in Architecture at University of Toronto's John H Daniels Faculty of Architecture, Landscape, and Design.